As a coach, it’s challenging to incorporate mental toughness training into your coaching philosophy – that’s where Winning the Mental Moments can help. Mental toughness is not a genetic trait athletes are simply born with. Mental toughness can be developed by learning specific skills designed to help with confidence, focus, motivation and resiliency. 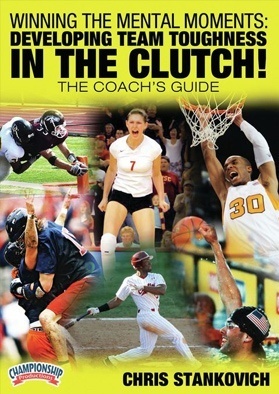 When athletes improve their level of mental toughness, they often reach their full athletic potential, which in turn leads to maximum team success. Similar to the importance of physical training and technical skill instruction, mental toughness development is a crucial aspect to fulfilling athletic and team potential. Simply put, athletes who are mentally tough outperform similarly talented athletes, and as a result, optimize their athletic abilities and potential. 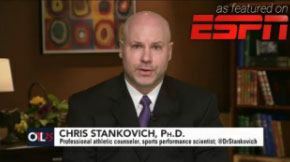 Winning the Mental Moments is a unique scientifically developed educational system created by Dr. Chris Stankovich that will provide you with the skills and techniques needed to effectively help your team reach their full athletic potential. 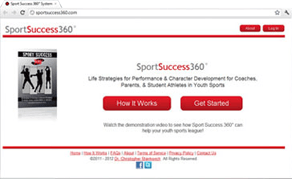 Unlike other coaching programs that offer general theories and applications, Winning the Mental Moments will provide you with strategic methods to help your kids play their best – especially when pressure is high.